There is a common assumption that a panda will live a long and healthy life whether it is in the zoo or in a protected habitat. However, “long and healthy” is not exactly a scientific response to questions about how long pandas live. A look at the results of studies conducted by biologists and zoologists can reveal a direct answer to the question. The total life expectancy of a panda in the wild might surprise many. A panda can live for up to 20 years in their natural habitat. Those pandas that live in the zoo can survive for as long as 35 years. The reason for the extended lifespan is the pandas gain a consistent access to food and, most importantly, veterinary care. Many of the health problems that befall a panda can be treated by a veterinarian in the zoo. Also, pandas do not have to worry about predators when they are in the safe confines of a zoo. All of this is well and good, but it can give a false impression about the life expectancy of the creatures in the wild. One thing that has to be understood about what we know about the lifespan of a giant panda is that scientists really only speculate on the maximum life expectancy. 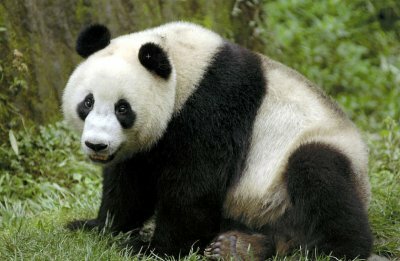 Since they know a panda can live in a zoo for 28 to 35 years, they are able to make educated guesses about how long one will live in the wild. Generally, it is believed scientists have made logical and wise guesses in this regard.